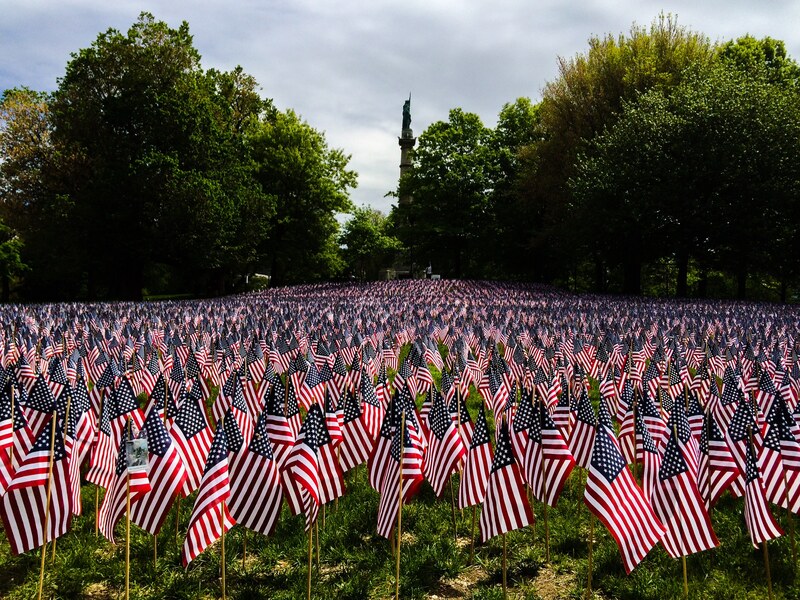 I spent a week on the College of Curiosity field trip “European America” last week, and was in Boston on Memorial Day weekend. 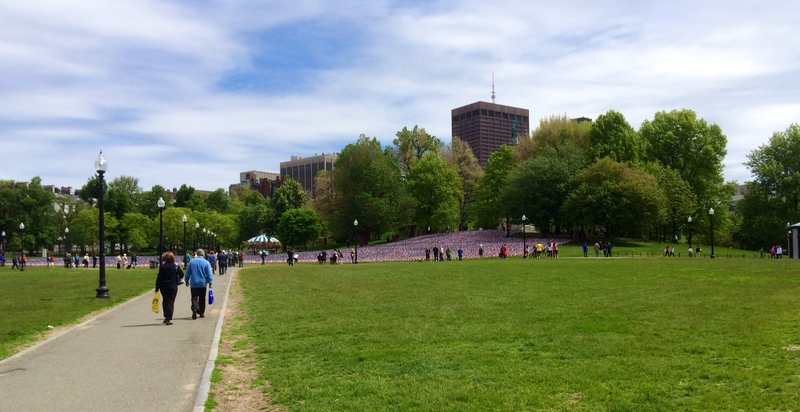 Our tour, led by fellow 2DG blogger Jeff Wagg, included a walk through the gorgeous Boston parks, and to the weekend display: a U.S. flag for each Massachusetts citizen who had died in a war, from the Revolutionary War through today. ‹ Needle Little Break from Knitting?